//Today I introduce white board at my room. //I programing every day at my room. 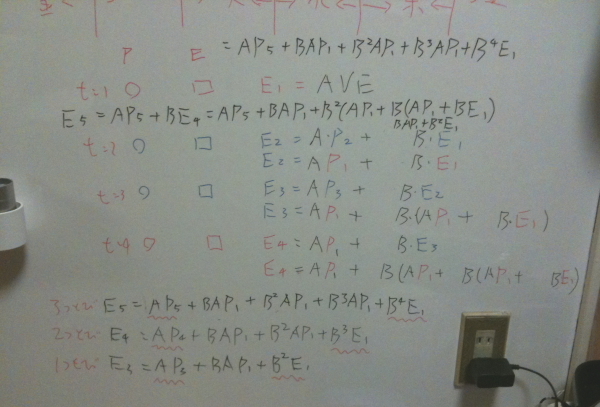 //White board is very useful. //I made white board in part of wall. //It's like "white board wall paper". //I bought it shop above. //The size is 1.2m x 1.8m. And it was about $120. //This white board wall paper is like big seal. So I pasted it. //I cut off unnecessary part after pasting it. //In office, we use white board to show something for another people. //But I'm using for arranging my idea in my room. //FYI, pen tray at picture is shampoo tray bought at "Tokyu Hands"
//High functionally white board can print the image. //I take a picture with iPhone to keep important memos like below. //White board become dirty little by little. //So I bought white board cleaner at Tokyu Hands a few days before. //This cleaner is very good.